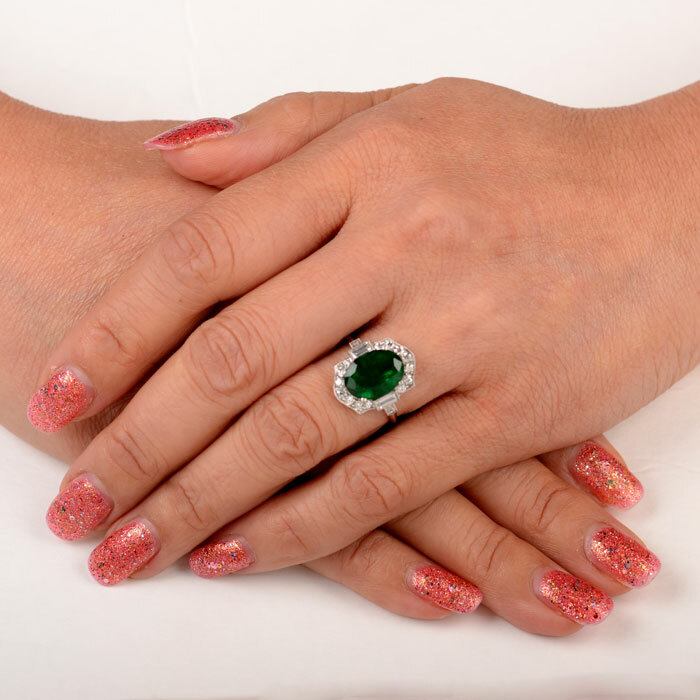 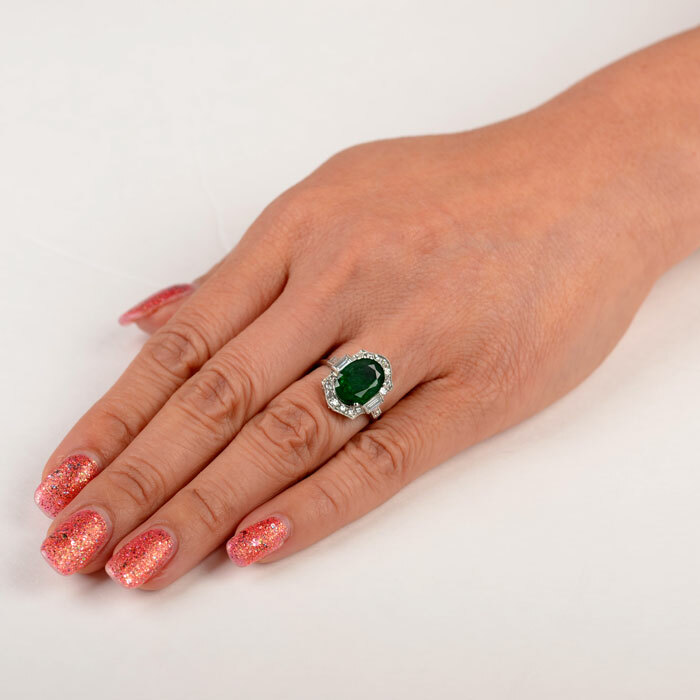 The Essex Ring features a oval-cut emerald in the center, surrounded by an Edwardian Motif halo design that is further accented by baguette-cuts on the shoulders. 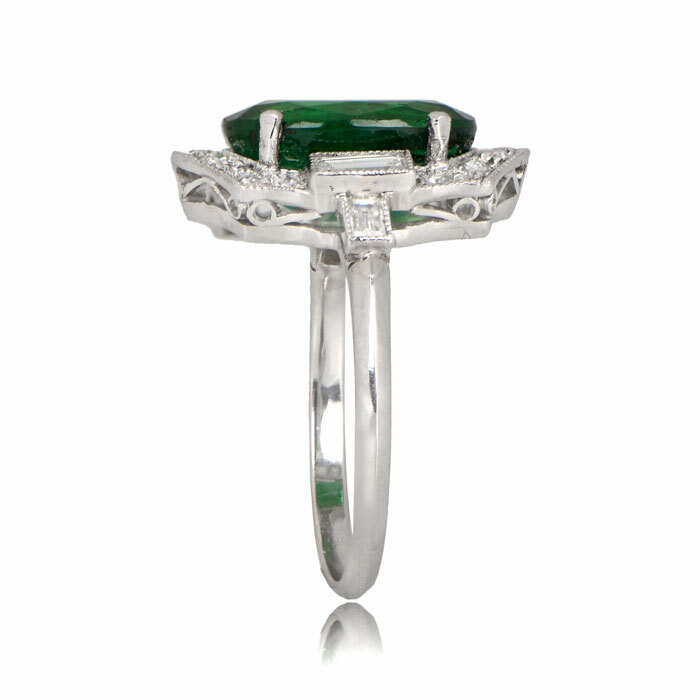 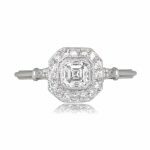 The center stone weighs approximately 4.08 carats and is prong set in the platinum mounting. 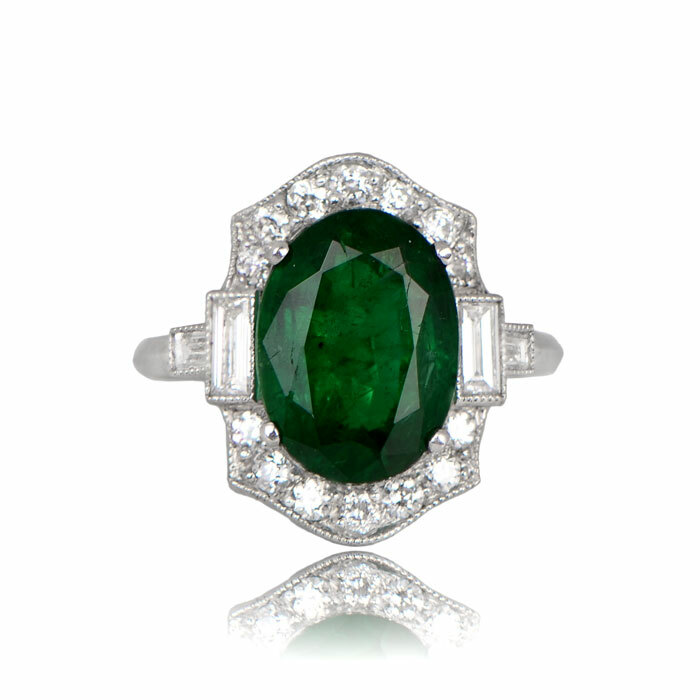 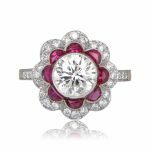 SKU: 11718 Categories: Emerald Engagement Rings, Vintage Cocktail Rings, Vintage Engagement Rings - Contact us and request additional pictures.